(VIENNA, MARYLAND) – Working for Toyota for eight years before coming home to farm has given William Layton a unique view on the need for volunteer leadership in the Ag Community. “A company like Toyota has a legal dept, a lobbying division, a research and development department, a HR department, and a marketing department. Farmers have none of these. That’s why I believe so strongly in volunteering with agriculture organizations like the United Soybean Board that help to fill those roles for farmers,” William says. Having completed nine years – three three-year terms, the maximum permitted – on the Maryland Soybean Board, Layton, a Dorchester County farmer and vintner, was sworn in to his first three-year term on the United Soybean Board during the first week of December. There, he succeeds Steve Moore of Sudlersville, in Queen Anne’s County, and joins Belinda Burrier of Union Bridge as one of two USB directors from Maryland. In bidding farewell to his service on the state checkoff board, Layton said he was looking forward to further service on behalf of the soybean industry at the national level. Layton, his wife Jennifer and family own and operate Lazy Day Farms, a 1,300-acre grain farm, and Layton’s Chance Winery, a 14-acre vineyard and winery. William handles winemaking and is currently working on his seventh commercial vintage. A graduate of the University of Maryland with a degree in business logistics, he recently completed the winemaking certificate program at University of California, Davis. 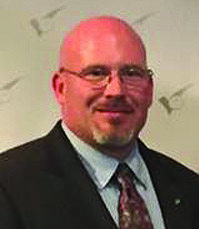 Layton has served as president of the Dorchester County Farm Bureau, president of the Chicone Ruritan Club, and as chairman of the Maryland Soybean Board. He was a member of LEAD MD Class 4. The Layton Family was inducted into the Maryland Agriculture Hall of Fame in 2011. As the new board is sworn in, Steve Moore, now 54 years old, will complete a total of 19 years of service to the soybean industry – nine years on the Maryland board and 10 years on USB. In the course of his USB service, he visited five countries – Egypt, Ireland and Japan, on behalf of the board’s biotech initiative, an effort to educate farmers there on using, and not fearing, genetically modified seed, and Brazil and Argentina, this nation’s biggest competitors in soybean world trade.